But what are they? Why are gravitational waves such a big deal? It was Einstein who first theorized the existence of gravitational waves, in his general theory of relativity in 1916. Basically, he said that when massive objects—we’re talking MASSIVE, like black holes and neutron stars (the densest stars known to exist), not planets—are also accelerating, they actually impact spacetime itself. They create “ripples,” warping the stuff the fabric of our universe is made of. The strongest gravitational waves, Einstein continued, would be generated by extremely traumatic events, such as the collapse of a supernova or the collision of black holes and neutron stars. Normal observatories use telescopes for observation. Telescopes are dependent on observing the electromagnetic spectrum (EM), whether it’s radio waves, x-rays, or visible light. LIGO doesn’t care about any of that. Instead, to detect the faintest whispers of trauma within the fabric of spacetime, LIGO must be isolated from the world. That’s why it’s very large and mostly underground. LIGO uses inferometers that are over 2.5 miles long and in a cross shape—the largest in the world, in fact—to detect gravitational waves. The length is important because the longer the inferometer arms are, the more sensitive they are; longer arms means it’s easier to detect gravitational waves. They use a type of mirror called a beam splitter to split one laser beam into two. These two identical beams then travel down the arms of the inferometer. The arms also have mirrors at their ends, so the beams are once again reflected and combined back into one beam. As long as nothing interrupts these laser beams, and as long as they remain the same length, LIGO doesn’t detect anything. If something does affect them, the scientific team begins its investigations. Whenever there is or has been a gravitational wave announcement, you’ll notice that journalists specifically mention a confirmed detection. That’s because, as you can imagine, this system is incredibly sensitive to vibrations. There’s a lot of skepticism that comes with any claim of gravitational wave detection, and LIGO has an advanced method in place to examine each detection to confirm it isn’t a false positive. To start with, LIGO isn’t actually one facility — it’s two identical ones, located in Louisiana and Washington state. This is because any detection at one facility needs to be confirmed by the other. When your equipment is sensitive enough such that something like the rumblings from a big truck can alter readings, you need a backup plan. Additionally, any results confirmed by the team are externally peer reviewed before they’re announced. This reduces the possibility of internal excitement or bias clouding data that negates the possible detection. 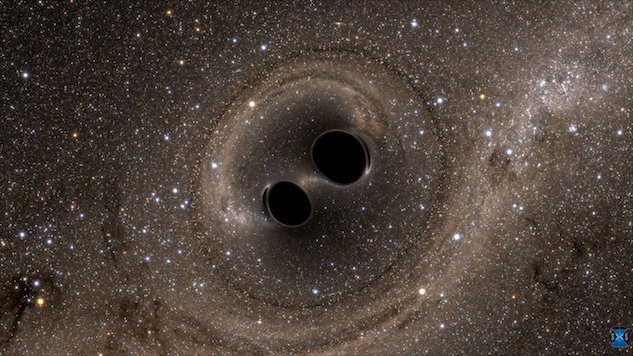 So far, scientists have detected three separate confirmed gravitational wave events using LIGO. The first was on September 14, 2015. All detections were from the collisions of binary black holes, or two black holes that orbit one another. This gravitational wave detection also actually confirmed the existence of these binary black holes, which had only been theorized up until that point. The most recent gravitational wave detection, announced on June 1 of this year, was especially interesting because it’s much further than any we’ve detected before: The first two were in the 1.3-1.4 billion light year range. This one was roughly 3 billion light years away. How does the detection of gravitational waves affect our daily lives? Well, it doesn’t. But what knowing more about gravitational waves does do is help us understand how black holes work, and as an extension, how our universe works. To really begin to tackle the cosmic-level complex questions of who we are, why we’re here, and how we got here, we need to understand the universe around us. Gravitational waves can help us do that.